The training course took place in Yerevan and it was aimed to enable youth workers and young leaders to feel and reflect about the power of gender. 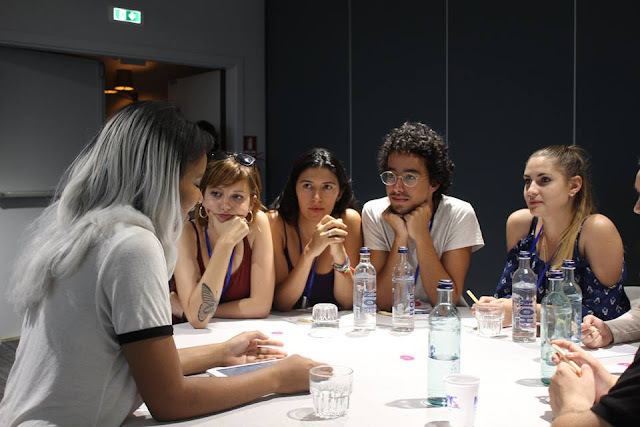 During the training we learned about gender equality issues by sharing and comparing the realities in the European Union and neighboring partner countries, and exchanging experiences, best practices and knowledge between us and our organizations on gender mainstreaming and women empowerment! We developed and improved our knowledge and understanding on various concepts related to gender issues, analyzing traditions, roles and perceptions of gender in different countries and societies. It was the first time for me to participate at so called ,,Fem-Library" based on the concept of- real people-real conversations where Armenian feminist activists and some of participants of the training have shared their own life experience related to gender issues/situations faced during their lives and how they overcame them. It was a really interesting but at the same time thrilling to listen their stories and to understand deeply the seriousness of gender discrimination in real life. Also we used Open Space method and performed our own workshops on topics associated with gender and non discrimination matter. Besides all of this we had the brillint possibility to visit some interesting locations not far from Yerevan - Sevan Lake which is the largest body of water in Armenia and the Caucasus region, and one of the largest fresh water high-altitude (alpine) lakes in Eurasia, the Temple of Garni which is the best-known structure and symbol of pre-Christian Armenia. It is the only standing Greco-Roman colonnaded building in Armenia and the former Soviet Union. Moreover I was excited to have a master-class of preparing local suits called sudjuc (Sudżuch) and Armenian lavash, as well to have dinner in a typical Armenian family thus gave me the chance to get to know better Armenian cuisine, traditions and culture. I can definitely recommend to take part in such kind of projects because it helps you to develop your personality and achieve new skills as well to discover amazing places, traditions and people. It was a really valuable experience for me where I get knowledge, friendships and the spirit of Armenia in my heart.